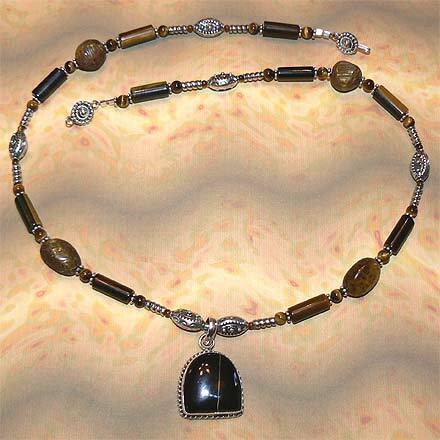 Sterling Silver Tiger Eye Necklace. See Closeup. Sterling Silver Tiger Eye Bracelet. 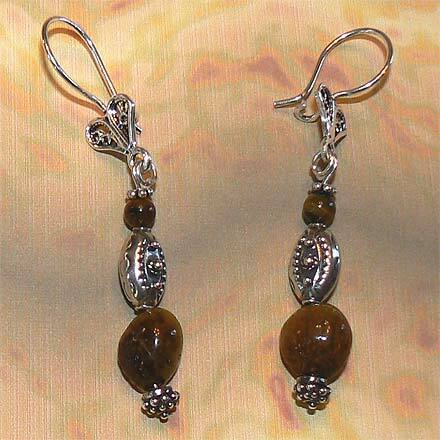 Sterling Silver Tiger Eye Earrings. The pendant is almost pitch black except for one solitary vertical streak of golden light. 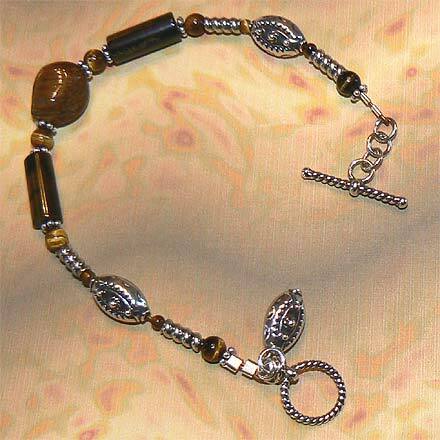 I used dark gold and black Tiger Eye tube beads throughout. 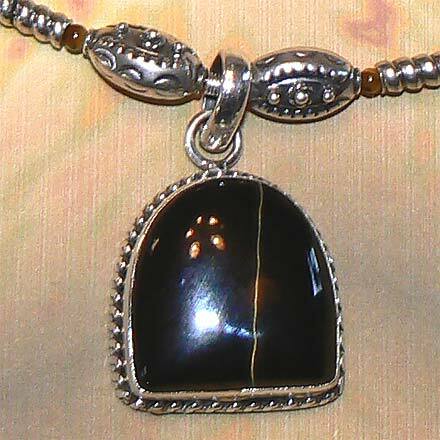 For those who are interested in Astrological significances of stones, Tiger Eye corresponds with Capricorn.